Woodworking is a hobby that is great for all ages and skill sets – you don’t have to be a carpenter to be able to create beautiful furnishings and crafts! A lot of projects aren’t as difficult as you might think, and can be made simpler so that even a child could do it (only under your expert supervision, of course). Woodworking with your child is a great opportunity to help them learn a new and valuable skill while bonding every step of the way. Give your child the experience of working with wood with these fun and easy ideas! A summer camp staple, building a bird house is a great woodworking project for beginners everywhere. A traditional birdhouse is easy to build and assemble, since it doesn’t require a lot of pieces. 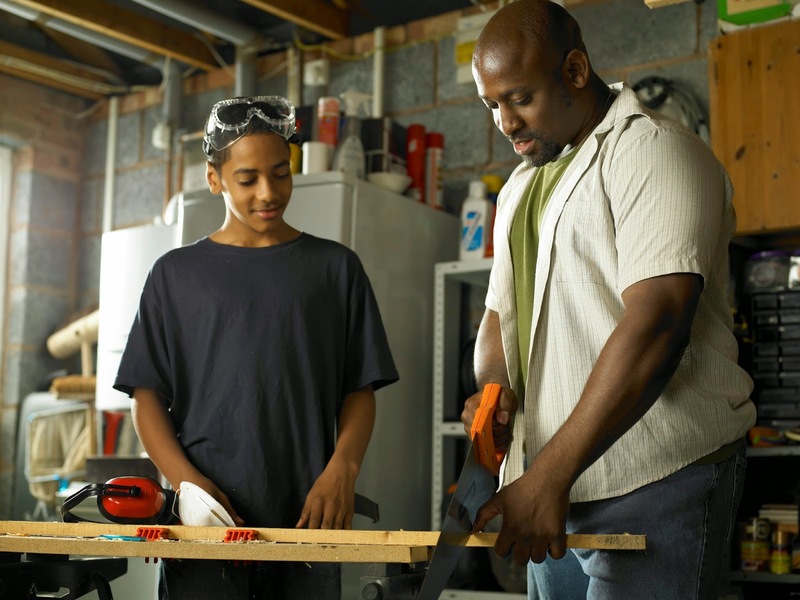 Cut out the proper sizes of the base, roof, walls and entrance hole with a basic band saw before letting your child get started (or just purchase a pre-cut kit). This project is great for kids since it’s simple to put together and usually just requires a hammer and nails. After your child builds the wooden house, he or she can decorate it to hang in a tree. Painting and personalizing is half the fun! Another fun beginner project for a child is creating crates and boxes. Build anything from a toy chest to the tiniest of boxes that your child can keep their prized possessions in. Boxes are very easy to make, with just six wooden boards needed for the entire structure. Let your child get familiar with tools like measuring tapes, levels and hammers. They’ll enjoy helping you put the box together. Show them how to hinge together the top to allow for an easy open and close. Like the birdhouse, decorating the box will be just as much fun as building it for your child. They’ll love having something in their space that they helped make. One of the most classic woodworking projects is making a wooden car. This craft is a Boy Scouts of America staple with their annual Pine Wood Derby. Start off with a basic rectangular block of wood with at least a 1-3/4” of width. From there, let your child’s imagination run wild by letting him or her sketch their car design on the block. With your help, carefully carve the shape of the design into the block. Remember to drill a small hole so you can add the wheels in later. Let your child sand the car as you go, and then paint the finished product. Continue the fun by elevating a wooden board to make a ramp and hosting a car race at your home! As you and your child work on more wood projects and increase your skill level, you will be able to move on to more challenging projects. If you’re looking for a project that you can work on for longer than a few days, an outdoor tree house would be a great option for those sunny spring days that are either just on the horizon or already here, depending on where you live. A lot of treehouses aren’t as complex to build as they seem – but they do require careful adherence to safety and stability instructions. Let your kids build the platform and do the woodworking that is on the ground. They can also do things like building steps to climb up the tree and work on the interior once you suspend the structure. It’s a project that takes time and dedication, but results in a memory that will last your child a lifetime. As you help your child with these projects, be sure to take precautions and keep any dangerous or sharp objects out of their reach. Leave the sawing and chainsaw usage to you, please! With the right guidance, your child will be a seasoned woodsmith someday.